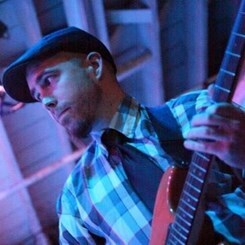 Scottish born multi-instrumentalist and composer, Gavin, teaches Guitar, Bass, Mandolin and Ukulele. 16 years of experience as a performer and educator he is committed to sharing his love and excitement for music. More than 11 studio albums and extensive touring have helped to make him a unique and empowering instructor. Request Lessons with Gavin today!